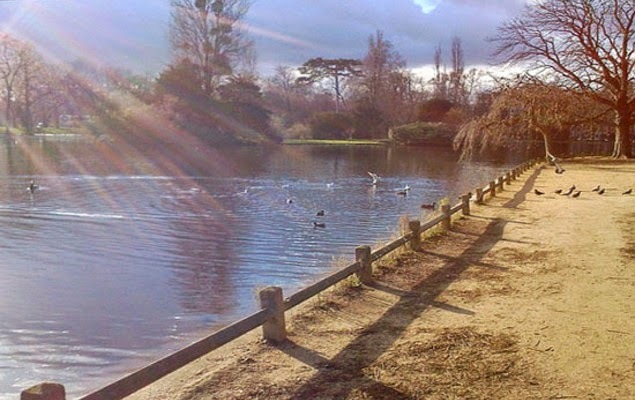 April seemed to come and go too quickly…. 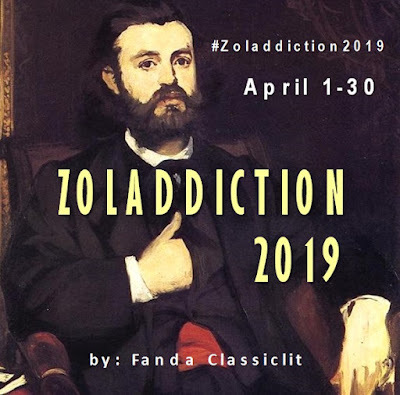 Now the month ends, and so Zoladdiction 2014—an event of reading and appreciating Émile Zola’s works to celebrate his birth-month. I feel like I should have done more with this event. Last year I could do much more than only reading and reviewing. But this year I have been busy as a Lector at my church, and as this year’s Easter was on April, I must dedicate most of my time for the preparation. Moreover, my boss has been assigning me to tackle more works than last year, and so I was left with a very limited time (and energy) to read books—in which, nevertheless, I have successfully squeezed two Zola’s just in time! As usual, I enjoyed my (almost) full month of Zola. I have been wondering; won’t reading 2 books successively by the same author make me bored? After Zoladdiction 2013, I knew I would, but Zola would always be an exception. I was amazed and entertained by the two books, although both won’t be my next favorites. As last year’s, Zoladdiction 2014 was a satisfying event, and I think my love to Zola is getting stronger now. 1. 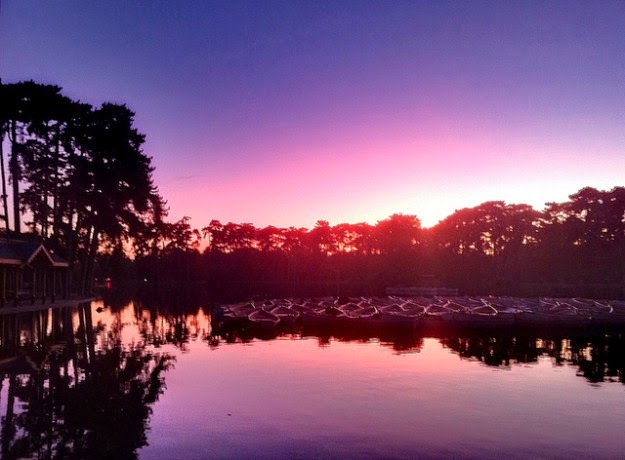 I WILL positively host another Zoladdiction next year—yay to that! 2. I think I will read another Zola this year, apart from this event. I’m still thirst of another (more) gripping Zola. Hopefully The Debacle would be a good choice. 3. If I have more time this year, I would love to dedicate it to enrich the content of my Zola blog. Well, right now the contents are mostly copy-paste from my classic blog (shame on me! ), but I really want to write more dedicated posts about Zola and his works. Now…., how were YOU doing? Share with us in your wrap-up posts, and submit the link here. I’m really curious! 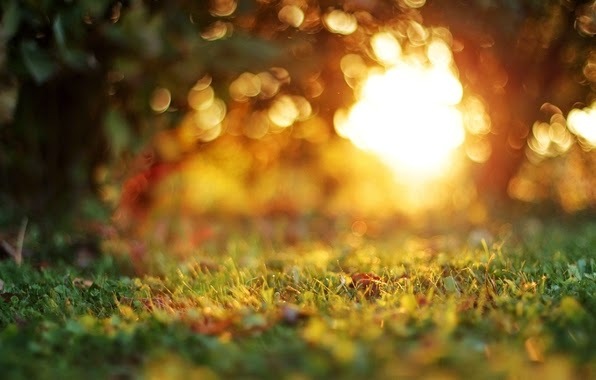 The Master Post’s linky would be open only until May 3rd (because of the limitation from the provider). For you who haven’t submitted your reviews or other posts until the deadline, you could still submit it here (in the Wrap-Up post). This one will be open until May 10th. Now 15 years old, Nana Coupeau, Gervaise and Coupeau’s daughter, first appeared in L’Assommoir as a child. Brought up on the street, Nana started her career as a tart, or courtesan, or whatever you might call for prostitutes. However that day, three years before Franco-Prussian War, Nana would began her new step as an actress in the Théâtre des Variétés. Her debut has created a big fuss all over Paris, although—as the manager stated—she had neither good voice nor good acting. The opera was very successful, and Nana suddenly became a famous tart in Paris. 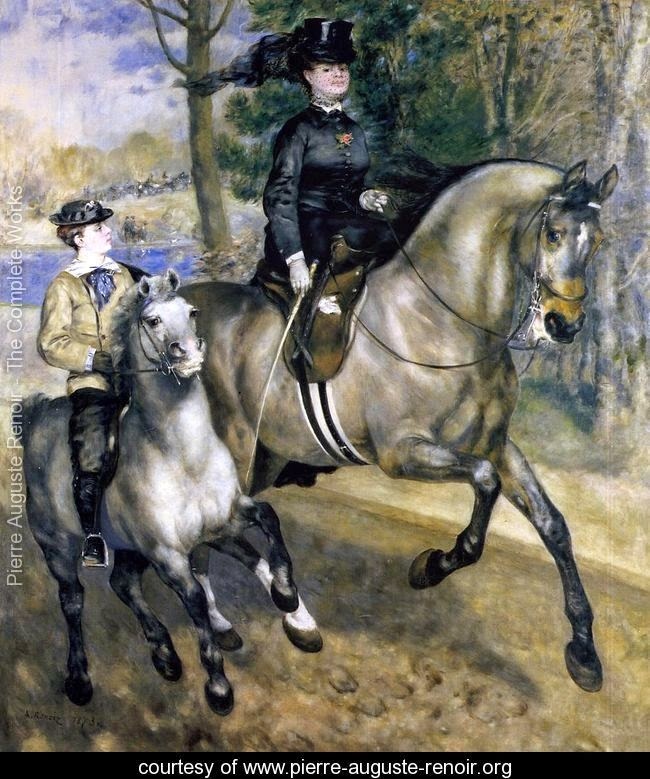 Many gentlemen fell for her; there was a count who came from very conservative family; another was a girlish young man; while the others ranged from Jewish banker to rich hedonist young men of all Paris. They were all bent under Nana’s sexual charm; risking everything—money, family, honor—to be with her. In three years Nana has been ruining these men’s lives, but the one who suffered most was Count Muffat. 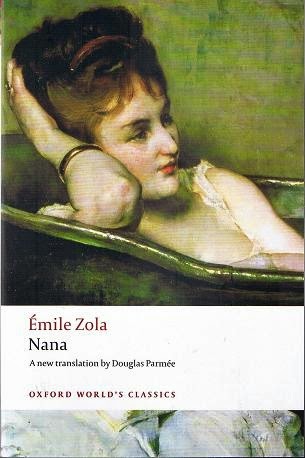 In Nana, Zola criticized the moral corruption which infected France in the Second Empire. Actually, reading Nana right after The Kill was quite intriguing, because I felt a close similarity in both novels—the moral lose in the shape of excessive sexual and pleasure appetites. In Nana herself, we saw that her alcoholic parents and the slump environment affected her sexual behavior and gave her insatiable passion for pleasure. We also learned from Nana how difficult for people who lived in the gutter of Paris to avoid their return to the same gutter, no matter what they do. In fact, Nana was once one of the richest tarts in Paris, while rich and influential men provided any luxury she asked for. However, no matter how much she possessed, she would spend much more. And although she longed to be regarded as a lady, she still could not resist of taking men from street to sleep with her, from time to time. It is also interesting to see how women in the second half of 19th century struggled to have more influence in the midst of patriarchal world. At that era, women didn't have access to both education and career, but they learned that they had another power which only women had: sexual charm, and it was so powerful that they could overpower the men and rule the country or society. 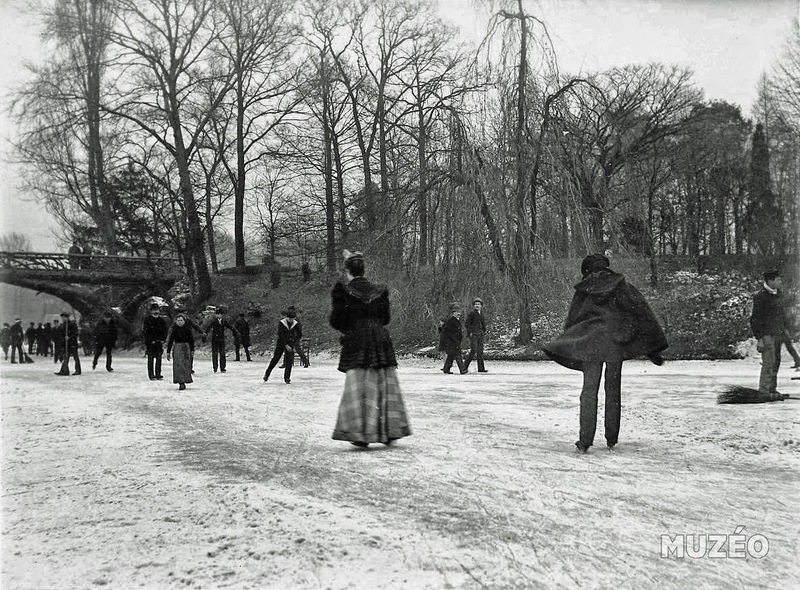 Here the moral loose was not only in the lower level of society (the workers), but also in the aristocracy, both courtesans and respectable ladies gripped their claws in the men’s lives and ruin them. There were a lot of other examples in Nana, that it is so difficult to break the habitual chain we inherited from our families and environment. Zola often made his characters to be helpless victims, as if they had neither any will power nor hope to change themselves. As if, we, human being, are merely product of nature, and our future always depends on evolution process. I have read seven books from Zola, and in most of them, I always thought, why they (the central characters) didn’t fight? Why did they surrender to their weaknesses? 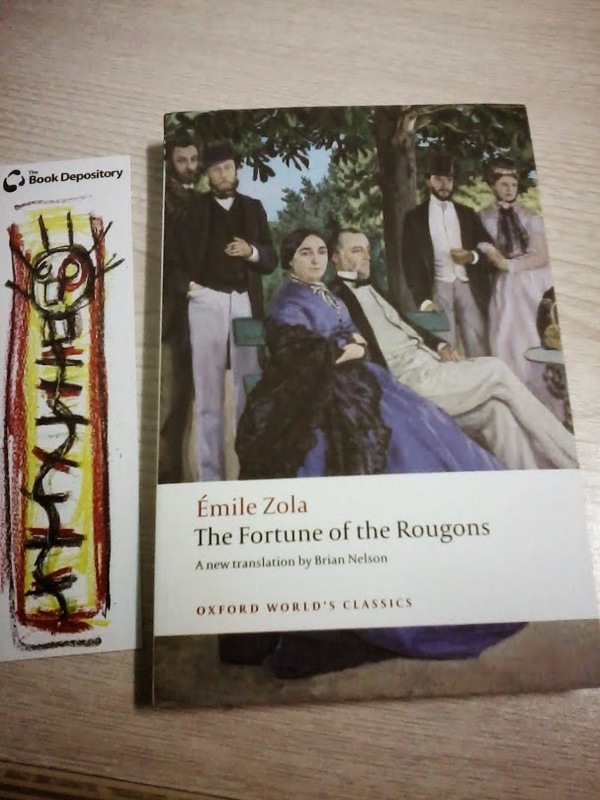 It is all because Zola is a naturalist, and in this Les Rougon-Macquart series he emphasized how hereditary weakness and corrupted society were powerful enough to drag a person, helplessly, down to the gutter. He did not intend to preach us on morality or religion; he just wanted to present how the corruption happened. Out of his method and principle, Zola is no doubt great in story-telling, and he never fails to amaze me. Nana won’t perhaps be one of my favorites, but the story is entertaining and flows nicely with (as usual) a theatrical ending. Four stars for Nana! If you think I am going to review a thriller/mystery book, you are mistaken! 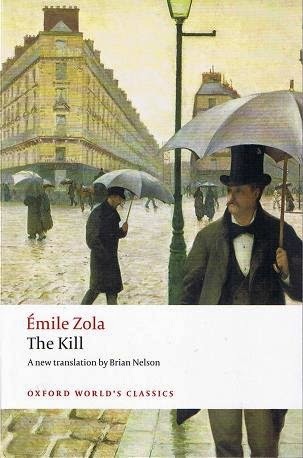 The Kill is a novel by Émile Zola; the second in his Les Rougon-Macquart series, and there is no murder act in this novel, whose original title is La Curée. From the Introduction (I read Brian Nelson’s translation from Oxford World’s Classics): “la curée denotes, literally, the part of an animal fed to the hounds that have run it to ground.” From the title, we immediately recognize the first naturalism trace on this novel. The Kill depicted the vulgar political spoils and financial gain during the Second Empire of France. 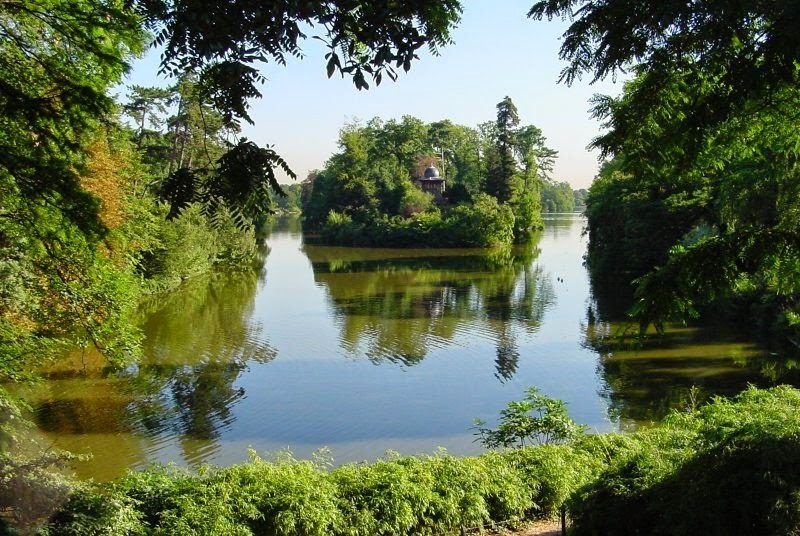 Aristide Rougon arrived in Paris with the hunger of a huntsman. Thanks to his brother who was a minister in the Second Empire, Aristide got his first job as a clerk in city planning office, and changed his name to Aristide Saccard. 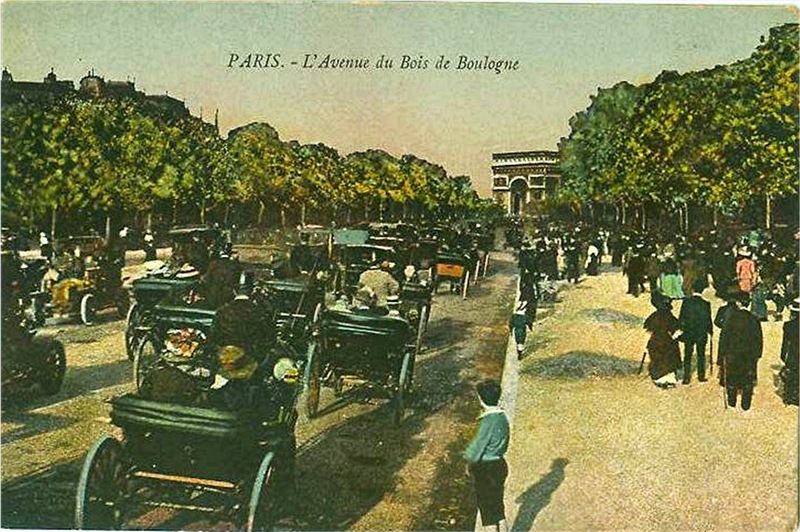 From the beginning Saccard was a scoundrel; and with his cunning eyes he saw how Paris was transforming itself into a modern city by building new boulevards over the existing houses. He began his ambition with property speculation—buying houses that would soon be demolished, and later on claimed a high compensation to the city. His loyal wife suddenly died in the right time; as the only way to get huge capital money for his ambition was by marrying a rich girl. Renée was a dynamic woman, and living glamorously in her mansion bored her very much. So, when Maxime, Saccard’s son from his late wife, moved in the house, the mother and the stepson soon began their (half) incestuous love affair. And these two moral corruptions grew eagerly in the Saccards’, and in the end Renée became the victim; she had lost the battle, just like a quarry finished by its hunter. This novel appeared to not containing enough conflict to make it enjoyable. After the background story of Saccard and Renée, the plot becomes rather flat. Yes, like all other Zola’s novel, the character(s) would have their downfall, but in The Kill, the process is rather too tedious. Zola went describing the interior of buildings in long and detailed passages, that at the end you cannot imagine anything at all. 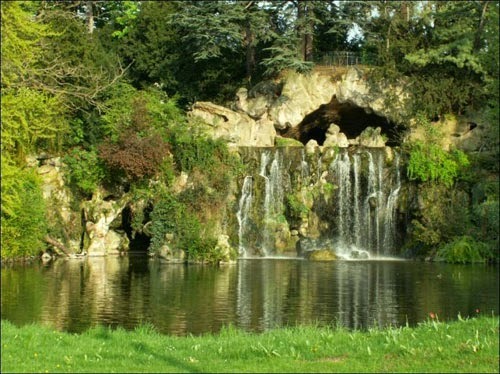 The only comfort comes from the detailed description of Renée and Maxime’s excursion to Bois de Boulogne. 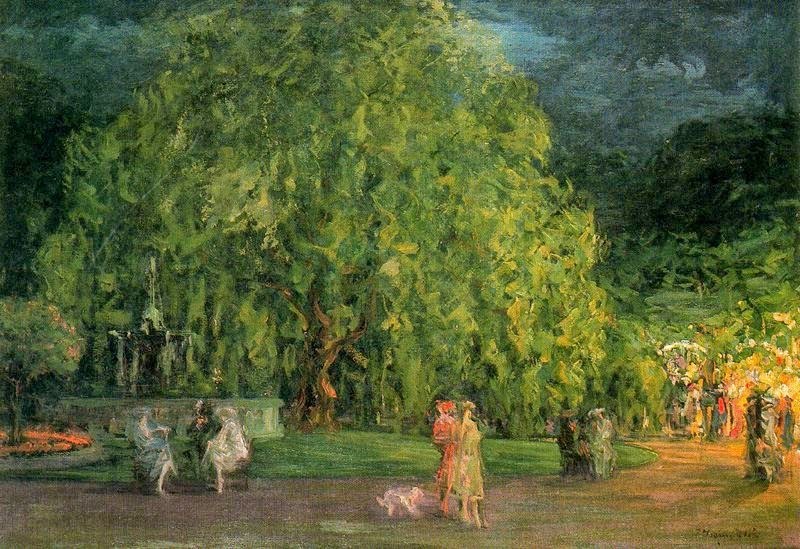 As always, Zola’s painter-side could brush his words beautifully onto the pages, as if you are watching lines of paintings on Bois de Boulogne in a gallery. When comes to nature description, Zola is great. In relation to the Rougon-Macquart series, The Kill pointed out the greediness in gold and women (lust for money and for pleasure); moral corruption which Zola found on the Second Empire of France. Three and a half stars for La Curée, it’s not my favorite Zola, but the naturalism theme—and his writing style, as always—is still beautiful. This second novel of Zola’s Rougon-Macquart series turns out to be very picturesque; as if Zola wants to explore his painter-side by describing in micro-details almost every landscape and building interior. 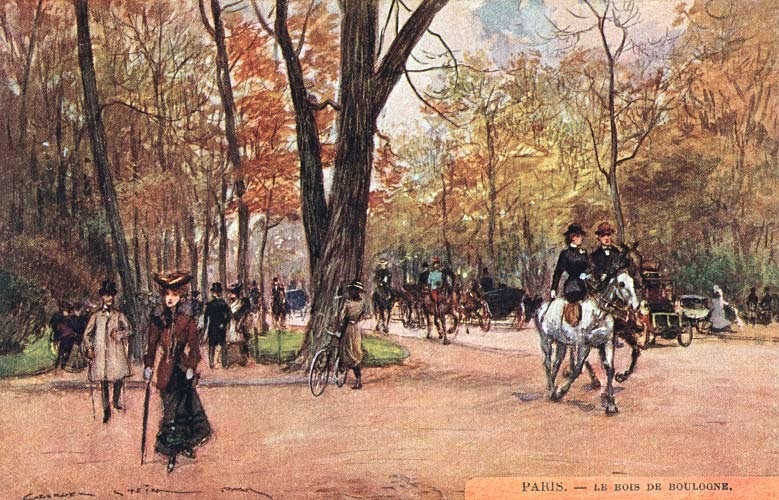 As Bois de Boulogne becomes one important aspect of the story—and he ‘paints’ them a lot—I dedicated this post to stretch my imagination about Bois de Boulogne, especially in 19th century. Of course, most of them might not express the exact details from the book, but at least they help our imagination. After comparing the pictures and the passages, you might agree with me, that Zola’s description is much more beautiful than the pictures. 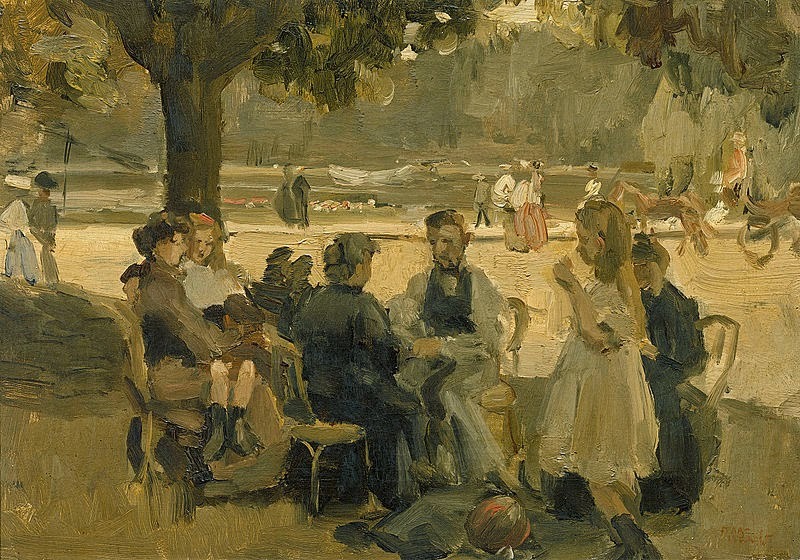 He might not be a successful painter, but Zola is one of the greatest novelists who could ‘paint’ such beautiful, powerful, and touching prose. I have a mixed feeling about Don Quixote. On the one hand I quite enjoyed Cervantes’ wit and beautiful prose, but on the other I disliked the absurdities. I just could not force myself to believe there are people so contradictory like Don Quixote and Sancho Pança, who at a time were so wise, but at others so stupid. I know that Cervantes made it absurd on purpose, but that’s why I could never really like it. Alonso Quixada was a gentleman who lived quietly in La Mancha. He was obsessed by books of chivalry in his personal library. The idea of knight-errantry poisoned his mind, that one day, in his thoroughly frenzied mind, he felt a strong impulse to become a knight and sought adventures in order to relieve the weak and oppressed from their sorrows. He followed every rule he had read from his books, and was suddenly transformed into a Don Quixote de la Mancha. He recruited a country farmer called Sancho Pança as his squire, and took a peasant woman to be his adored-lady—just because a knight in books used to have a squire, and a lady to whom he dedicated all his deeds. Mounting on his skinny horse—which he fancied as a stout one—he left La Mancha to seek adventures. And indeed, a lot of adventures he got along the way. However, far from helping people, Don Quixote often ended up bringing trouble to others. It’s because he himself had fancied that those people were in trouble and needing his help—while in reality they didn’t. In the urge of having problems to solve, Don Quixote used to create them in his fantasies. In these fantasies, either people, or animals, or even things might become his worst enemies. One of his, probably, most memorable (and funniest) adventure is when he attacked some windmills which he imagined as giants! But you might wonder, if the adventures were mere fantasies, how did he react when they were failed? When things went wrong, Don Quixote blamed it on enchantment or works of a magician. If he was so deluded, why didn’t his squire or others lead him to the truth? Sancho was quite a man of sense, but he was also deluded by illusion of power. He was so sure that one day Don Quixote would be a King, and would grant him island to govern. But other than that, Sancho was an amiable man. And maybe, besides his childish trust to his master, he was the most natural character of others, and has become my most favorite character in this book. Now, along his adventures, Don Quixote met so many people. Interestingly, none of them seemed really appreciate Don Quixote’s main aim by entering knight-errantry profession, which was to help others. This was a noble dream, but people failed to see it as it was, and focused instead on the crazy ways he tried to achieve it. The curate, the barber, and the bachelor tried hard to bring him home and cure him. In their eyes, Don Quixote was a poor deluded old man who only humiliated himself by his knight-errantry. The Duke and Duchess were much worse; they put (too) much effort to create adventures for Don Quixote just to amuse themselves—it’s bullying, and I hate them for it! There were still many other characters, some were kind to Don Quixote and Sancho, but some were quite rude. But all of them saw the same thing from our knight: a mad man; either they pitied him or were annoyed by him. So, that is how Cervantes saw the world in his era. The nobility and moral value had been decaying, and people only saw what appeared on the surface. The biggest irony in this story is how people regarded Don Quixote as a deluded man, while in fact it was they who were deluded. Strange and unreasonable as he was, Don Quixote was the only one who still strongly believed in nobility and the need of helping others; while the others—normal as they believed they were—could only see a strange old man, and failed to see his much deeper and important quality as a human being. 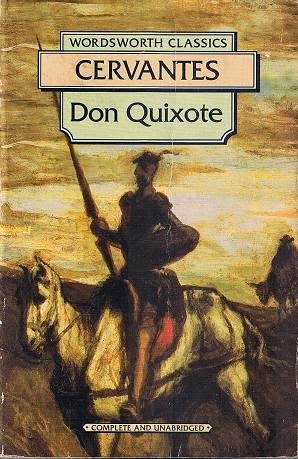 Only after I finished this book, did I see why Don Quixote has been a very important work in our literary world. Cervantes is indeed great in conveying his ideas through this entertaining satirical romance, which became the first complete novel ever published. Don Quixote is actually divided into two parts. In the first one Cervantes wrote it as if he presented us a history of a certain knight, written by a Moor called Benengali. Interestingly, in the second part, Cervantes took a more active role, by putting another author who has been writing the sequel of Don Quixote without his permission, and made Don Quixote met people who have read the false history of him. The meta-story style could also be found in part one; actually one of them: “The Impertinent Curiosity” is so engaging I even think I love it better than the original story! And this is very interesting, considering it was written some four centuries ago. All in all, I realized that Don Quixote is a special and genius piece of literature, but somehow, I could not like it as I thought I would. I got bored many times, and used to skip few pages, before continuing. Maybe, if Cervantes didn’t put too many adventures, I would like it more. But in the end, three and a half stars are the best I could give for Don Quixote, one memorable story but too tedious for my liking. The virus has come to infect us for the whole month: ZOLADDICTION! 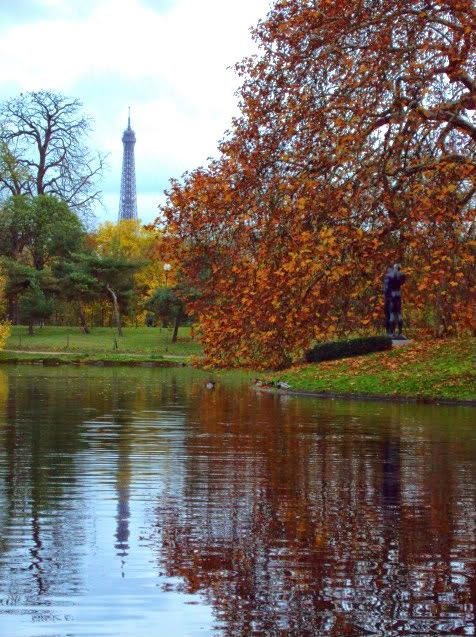 Are you ready to be exposed to Émile Zola’s books? See the announcement to find all about this event. 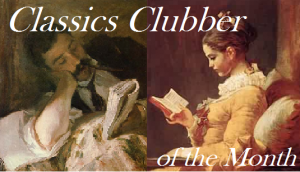 In short, I am hosting this event to praise and spread the knowledge (and addiction) of Émile Zola’s works. To join us, you can simply sign up this event, read as much as Zola’s works as possible, post your thoughts, and share them in the linky below. Tell us what you have done with Zola during April. Share your thoughts or feelings after you worked on with Zola for a month, do you begin to like him, have you been struggling with the books, or do you love him even more? Tell us everything! What next? Do you have any future plan with Zola? Of course you are free to say anything in your wrap up post, you are not obliged to answer all the questions, it’s just to give you ideas. You can put the link of your wrap up post in the linky below (I only prepare one linky for all posts). 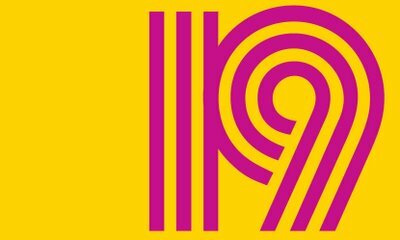 I provide another linky for wrap up post (open until May 10th), for you who didn't manage to submit your reviews in this master post, you could submit there. Now, kick it off, guys…and let the Zoladdiction begin!